Free, libre, or open source software (FLOSS) offers the promise of cost-free, modifiable, high-quality software, for a multitude of tasks (e.g. desktop operating systems, office suite applications, graphics manipulation packages, etc.). Given that this software is free in terms of cost and ability to modify, we should see its widespread use throughout public administrations whose limited budgets generally give rise to the need to find ways to cut costs wherever possible, while simultaneously providing ever expanding ranges of services to their constituencies. However, we find open source software’s use at the desktop and application level rather sparse. We look at 3 specific cases of open source software use: one for provision of local e-government services, a case where a small municipality has applied open source software within a desktop environment, and a case where a large city government has embarked on the wholesale replacement of the operating system and office application suite of an entire city’s implementation of desktop workstations. In this digital age, more and more members of the administrative and professional class are tasked with the responsibility of working with ever-greater numbers of, and increasingly more complicated, technologies to accomplish their day-to-day jobs. A glance at many of the Public Administration job postings on-line will give you the picture: Help Wanted! Must have working knowledge of Microsoft Windows and Microsoft Word! Microsoft Excel knowledge desired! But what are these job postings really asking for when they say this? Are they asking for knowledge of specific applications? Or are they asking for a broader knowledge, one that can be elusive to many: the ability to get along well with technology, no matter what brand, while simultaneously getting along well with people, both their coworkers and their constituencies. As cities are increasingly being required to account for every dollar they spend, and to show returns on investments in unprecedented ways, information technology departments in a few cities worldwide are becoming highly innovative. 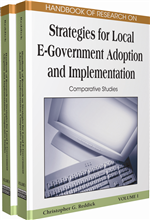 Some, like Andy Stein’s Information Technology department of Newport News, Virginia, are collaborating with other local governments around the world to produce eGovernment portals through which their citizens can access government resources. While most IT departments went the decentralized route of the Personal Computer, others, like Harold Schomaker’s department in Largo, Florida started following a centralized model that allows them to flourish with just over half the support staff of similarly-sized cities, while being innovative with their approach. Still others, like the city of Munich, Germany, are investing today in a complete replacement of their desktop environment to ensure their constituents the highest standards in privacy while still being able to keep costs as low as possible and guarantee functionality. The secret to each of these innovative moves is the judicious use of open source software – software that the information technology administrators in each of these communities can review for holes that may lead to breaches in privacy. Software that allows custom-tailored development to provide workflow management that fits like a glove. Software that frees agencies from the ever-circular cycle of: Buy expensive hardware, apply expensive software, get more expensive software to assure security, upgrade, repeat. While the software is oftentimes free, or at substantially low cost, there is a price involved in migrating to the freedom afforded. Sometimes, as you will see, those costs can be minimal. Sometimes, those costs are potentially prohibitive. Yet the cities you will read about here all made the decision that the investment in cost and time in the migration would be well worth the effort. To start, we offer an introduction to the world of open source software. Through this introduction, foundational explanations are made on what the concept is, why it doesn’t always mean free as in cost, and what some of the benefits and hidden costs are to adoption. Next, we proceed to describe what the major factors are in considering software “purchase” decisions, and provide reasons for why open source should rightly share in the process. Then we consider two sides of the same debate, in a treatment of the right of governments to know what their software is doing with their private data versus the right of companies to maintain the privacy of their intellectual property. Next, we describe how three municipalities have implemented open source software for very different reasons. Finally, we wrap up with a conclusion, where we offer our thoughts for the future. eGovernment: The provision of governmental services (tax payments, permit pulling, etc.) via a website or other electronic means. OSS/FOSS/FLOSS: Open Source Software, Free Open Source Software, Free Libre Open Source Software (respectively). Proprietary: Of or pertaining to a closed nature, typically in order to protect intellectual property. Open Source: Source code of computer programs that can be reviewed openly by those skilled in the language in which the computer program is written. Webserver: A computer server specifically used to serve web pages, either internal to an organization (intranet) or to an outside population (extranet, or Internet). Content Management System: A webserver-based system used for managing content to be presented to consumers of the content. Typically allows for this by individuals who are not familiar with the technical workings of website design. Customizability: The ability of a piece of software to be customized to suit a particular need. Interoperability: The ability of computer systems, software, and organizations to function together to provide a set of services. Linux: Open source computer operating system originally developed in 1992 by Linux Torvalds, and now developed by many thousands of contributors. Can be used to run desktop computers, laptops, servers, and supercomputers. Portal: A typically-World Wide Web based system that allows for multiple services on multiple servers to be accessed from a single website. File/Print Servers: Computer servers and their related storage mechanisms that allow for information storage and printer connectivity via networks.